Fancy return flights from Sydney to Samoa, a weekend jaunt to Hamilton Island (home of the world’s most famous white beach) and business class travel to Perth – almost for free? The Champagne Mile reader Lauren Hockey shares her tips for beginners starting out in the world of frequent flyer points and miles. If someone had said to me a year ago that I’d be the one frantically waving my American Express card at the waiter at the end of a girly brunch, dying to pick up the tab and subsequent frequent flyer points, I would have laughed. But it seems once you’ve been bitten by the air miles bug, it’s a hard one to shake off – and who can dispute its benefits, with free flights, lounge access and, for those that scale the dizzying heights of loyalty, upgrades to business, first class and suites? 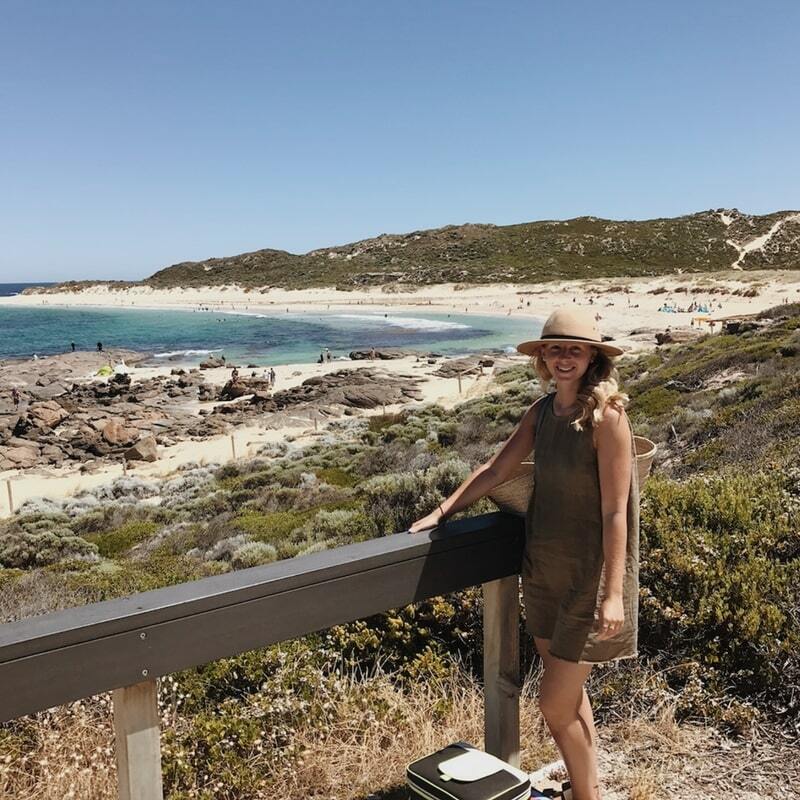 Lauren on a recent trip to Margaret River – funded with airmiles, of course! Before starting to collect frequent flyer points, you’ll need to decide which frequent flyer program(s) you want to align yourself with. If you didn’t already know, the majority of the world’s big airlines are grouped together as ‘partner’ airlines through a number of different programs. One World consists of Qantas, Cathay Pacific and British Airways, amongst others, whilst Star Alliance has Singapore Airlines and Air New Zealand, and also links in with the Virgin Australia loyalty program, Velocity. Here in Australia, it’s free and easy to join Virgin Australia. And while Qantas usually charges a $89.50 fee, they currently offer several free join codes, like this one. Loyalty rewards exist for the very reason that quite often you’re foregoing the cheaper option to stick with your favoured airline, and so you’re awarded accordingly with free frequent flyer points. 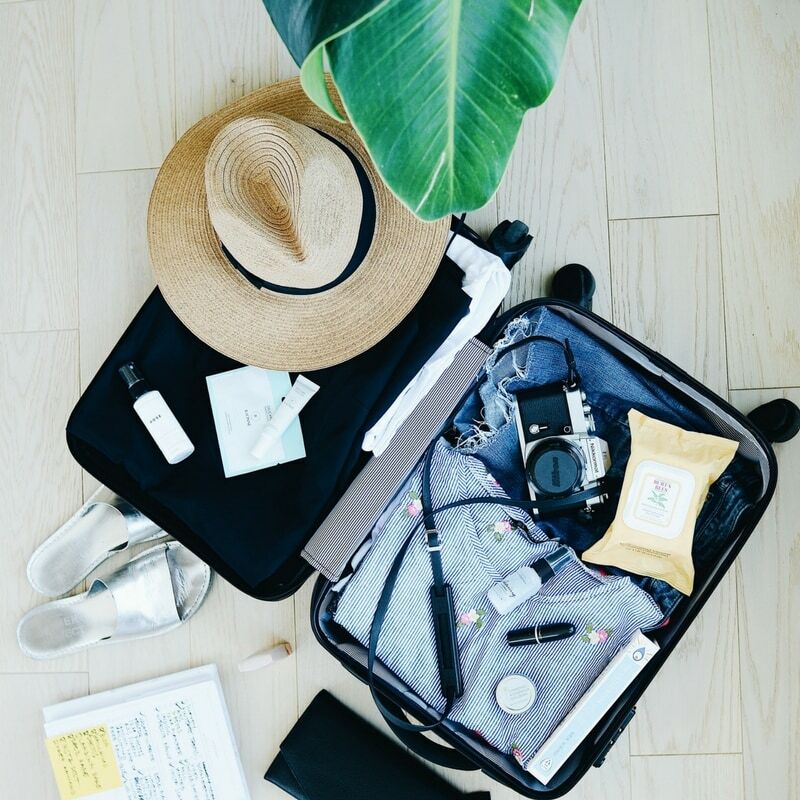 When we flew to Byron Bay last winter, Jetstar were the cheapest, but with 23kg of checked baggage standard and a load of airmiles to boot, it made sense to stump up the extra $80 to fly with Virgin Australia. You’re set up with your frequent flyer scheme and now you need to apply for a card. Savvy travellers will plump for a card that not only gives them a generous sign-on bonus but also offer a high points earn on everyday spending. As an example, you can currently pick up 55,000 bonus Qantas points with a new AMEX Qantas Ultimate card, or 50,000 bonus AMEX Membership Rewards ‘Gateway’ points with the popular AMEX Explorer Card. As well as your opening bonus, both cards offer 1.5 points per $1 on everyday spending, one of the most generous earn rates you’ll find, and meaning you’ll rack up your airmiles much quicker. Win, win! Some airlines like Virgin Australia allow you to easily pool frequent flyer points with family members. If you’ve a friend or partner who you regularly travel with, consider sharing your points in this way. Whilst there aren’t any immediate benefits of doing this in terms of gaining extra airmiles, you will gain Status Credits, which help to fast track you to elite status. Once you reach the dizzying heights of gold or platinum status, you’ll gain access to airport lounges (hello free food! ), priority baggage and check-in. In addition to a significant sign on bonus, the fastest way to free airfares is to spend as much as you can (responsibly, mind) on your high earning credit card each month. Buying a new laptop? Deposit on a car? Food shopping? Where possible, consider paying for all of your big purchases on your card and, as long as you’re clearing down the balance at the end of each month, you’re essentially earning points for purchases you’d be making anyway. Handy tip: whilst AMEX is becoming more widely accepted, there are still some small independent operators who don’t accept it, but that do accept PayPal. PayPal is often an option for paying bills, including selected utilities and council rates. Link your AMEX to your PayPal card, and you’re away! Smart cookies will take advantage of opening bonuses on credit cards to get the most for their money, which may include things like a free domestic return flight, lounge access and points (air miles). Redemption is the term used to ‘claim’ your free flight, but if it’s a route that’s likely to be popular, jump in early or consider flying on a less popular day of the week as each airline only has an allocated number of redemption tickets for each flight. As an example, I wanted to use my redemption domestic flight to fly return from Sydney to Cairns on a Thursday night, but this route was full. However, a Thursday morning flight to Hamilton Island at the beginning of Autumn had more seats available. Booking as far ahead as you can will give you the best chance of bagging a free seat. Paying for flights solely with points will only get you so far, as you don’t gain frequent flyer points on flights that you’ve used airmiles to redeem. These days, it’s easy to do your research to find cheap flights. Work out your strategy early on – for us, we agreed that there was more value in a higher number of domestic or short haul flights completely free, rather than saving our points for a longer period of time to earn the equivalent flights long haul. As an example, to upgrade to Business Class on Singapore Airlines you have to have paid for a valid ticket at the class below, Premium Economy, which comes with a hefty $4000 price tag. For me, I’d rather save myself $2500 and fly Economy back to the UK, and instead have lots of little adventures around Australia for free – we’ve flown to Melbourne, Hamilton Island, Samoa and Perth, simply paying airline taxes. So, in a nutshell – choose your loyalty scheme, utilise your opening bonuses, plan ahead and pay for flights once in a while. It’s amazing how quickly you’ll be addicted and be that person clamouring to pick up the restaurant bill!